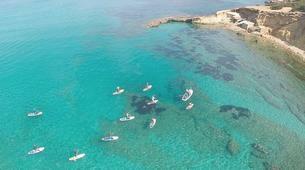 Discover the beauty of the coast of one of the most famous Spanish Islands, Ibiza. 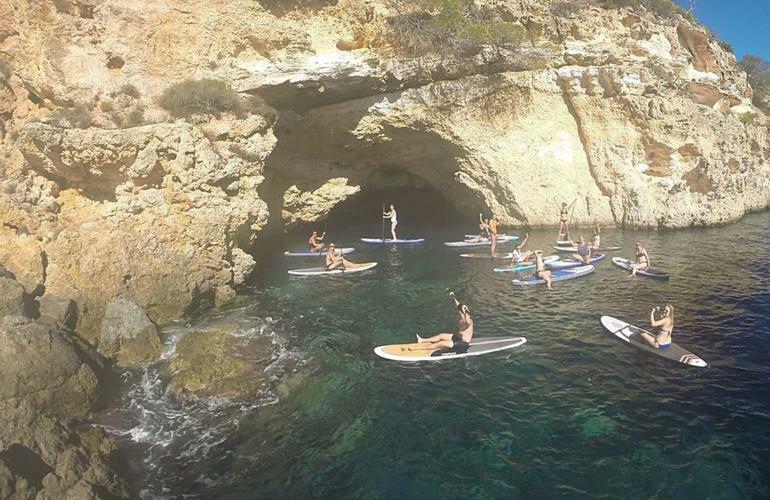 During a SUP excursion you'll have the chance to see Ibiza in a new light! 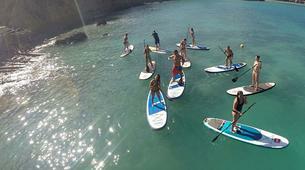 SUP Ibiza has specialized on guided SUP excursions, and it has obviously become an amazingly popular activity. 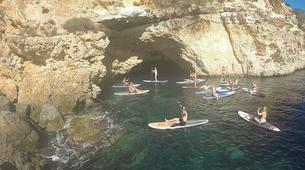 They propose a nice 2 hour and a half guided excursion along the coast of Ibiza. Ibiza has been declared as a UNESCO World Heritage Site and hosts an exceptional flora and fauna. 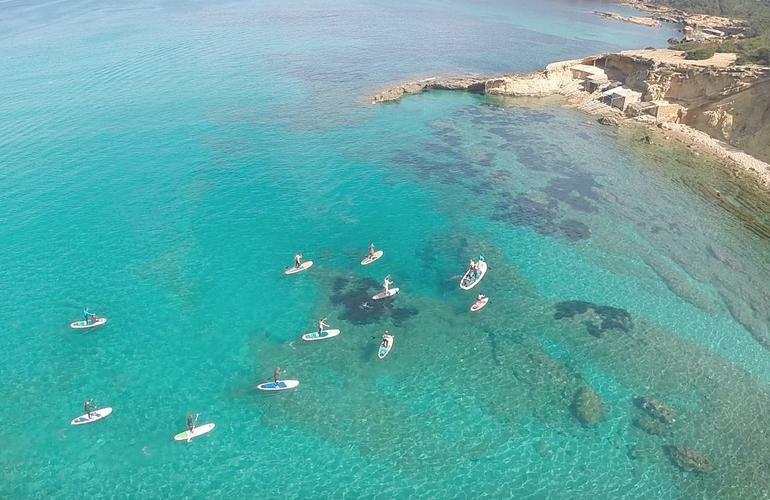 The evolution of Ibiza's shoreline is one of the best examples of the influence of Posidonia on the interaction of coastal and marine ecosystems, and now you will be able to witness all this magnificence while paddling peacefully. 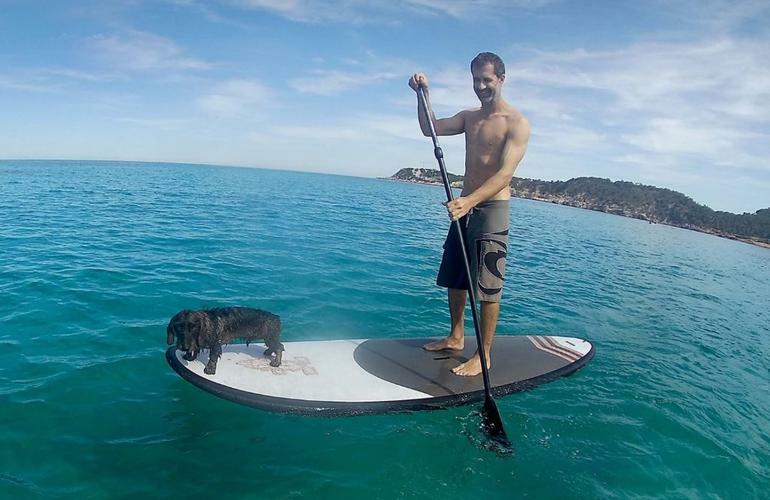 SUP is probably the best activity one can do while on a holiday in a beach destination. It allows to discover spots that can be accessed easily by land. Also, this cool variant of surfing is an excellent workout since you will use most of your muscles while paddling and keeping you balance. You can either come alone, in couple or with you whole family. It is a unique experience where everyone regardless of age can enjoy sport and nature. 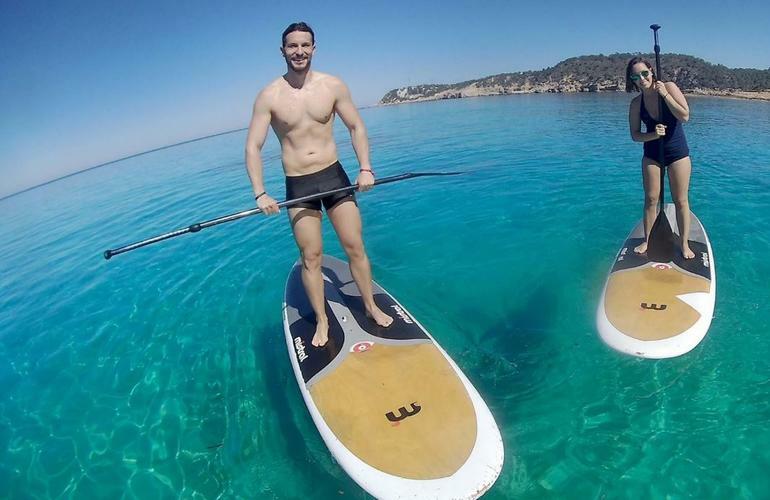 This itinerary is one of the best experience to enjoy in Ibiza! 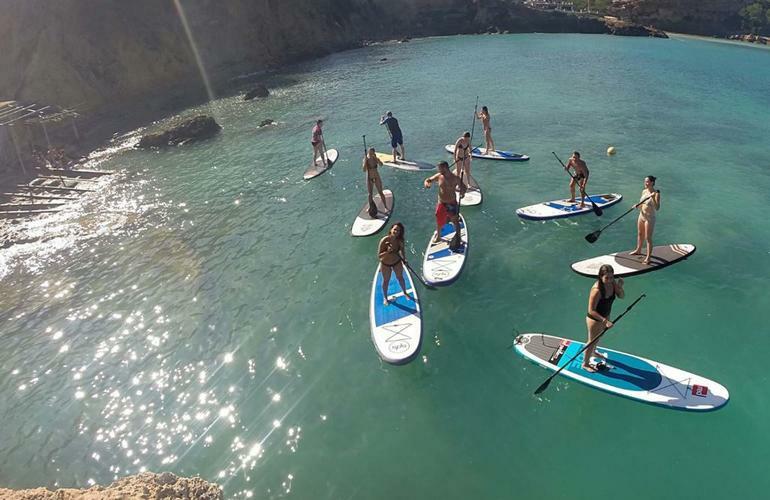 SUP Ibiza is committed to providing you the best excursion as possible that's why the itinerary will be decided taking into consideration the weather conditions. 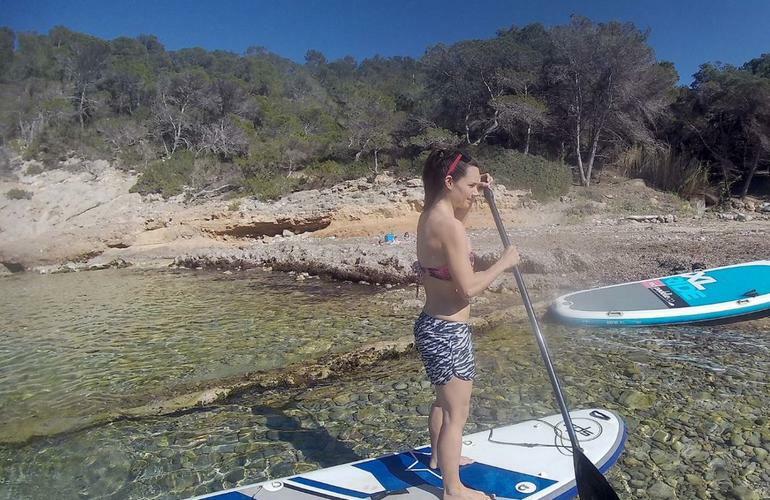 Once on the beach SUP IBIZA will provide the necessary equipment (board, paddle, life vest or wetsuit in winter) and the instructor will give you quick lesson about how to row properly and how to stand on the board. Minors must be accompanied by their parents or tutor or have a written authorization. It was our first time. We both loved it. Heerlijk om je dag mee te beginnen. Na het ontbijt even twee uur suppen met een erg vriendelijke guide. Geen gezeur. korte uitleg en een mooie route. Een grot, duiken vanaf de rotsen en de zon on je gezicht. Weer eens wat anders dan rennen langs het strand of de sportschool. Voor het geld zeker de moeite waard. Top!! - - - - - - translation in EN: Great to start your day. After breakfast, take two hours of a very friendly guide. No whining. Short explanation and a nice route. A cave, dive from the rocks and the sun on your face. Again, something different than running along the beach or the gym. For the money definitely worth it. Top! !